We just listed a set of 4 wood folding chairs of the same vintage. Click here for details. 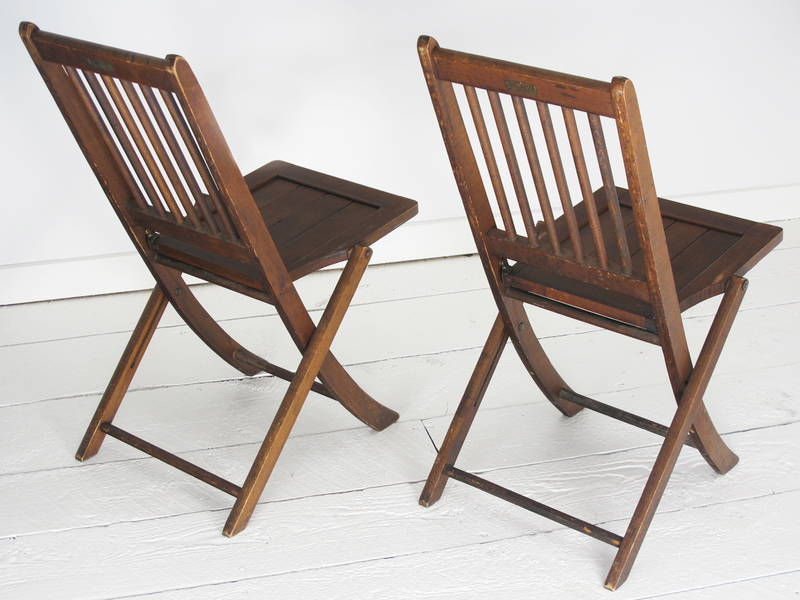 Two antique Jackson Folding Chairs of Boston. Definitely a rare find! These are completely functional slat bottom chairs, with the original stickers on the back from Jackson Folding Chair. Very well designed and they have a fantastic shape. They’re very comfortable and solidly constructed. The original finish is present, with the typical scuff, scratch and wear of untampered pieces of this age. They appear to be constructed of hardwood and pine. Will ship by UPS. International shipping is offered. Please be in contact for shipping and handling fees for your location. Buyer responsible for shipping & handling charges.